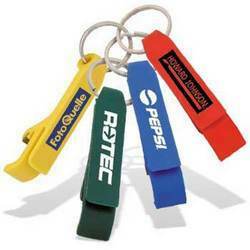 Our organization has gained a lot of appreciation for manufacturing, supplying and buying a wide range of Key Chains. We manufactured these products catering to the demands of numerous individuals, business houses and management institutions. In order to ensure their prolonged service life, we used the ultra-grade raw material for manufacturing these products. For their customized designs, varied colors, attractive and trendy appearance, these key chains are highly appreciated by the clients. Owing to the dedicated efforts of our diligent professionals, we have been able to provide an extensive array of Plastic Key Chains. Ultra-grade plastic is utilized for manufacturing these products so as to ensure their longer service life. We are offering these key chains within customized designs, different shapes and sizes as demanded by the clients. Owing to their attractive colors, these products are also used for printing the promotional messages. 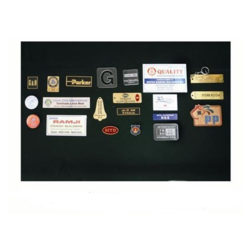 We have gained expertize in manufacturing, supplying and buying a qualitative range of Printed Key Chains with the help of our multi-talented manpower. All these products are manufactured in accordance with the specifications given by the clients. For manufacturing these products, we used ultra-grade raw material which is procured from the authentic vendors of the market. For their below mentioned features, these products demanded by business houses, various individuals and management institutions.